Born in London, I’m now living in beautiful, Auckland, New Zealand where I work as a stylist, illustrator, influencer and blogger while looking after my young family. 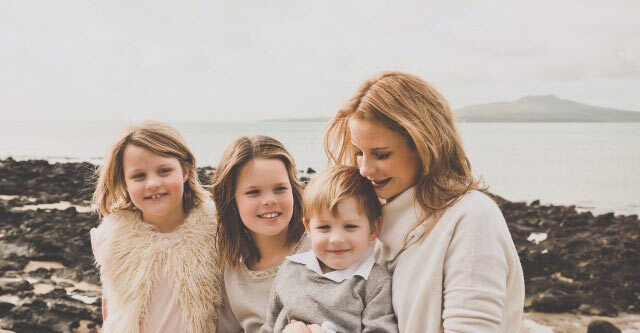 I’m a single mother to three amazing children, Sienna, Annabel, and Ben. Founder of Mummy Loves, I’ve written and illustrated two children’s fashion picture books, ‘My Mummy Loves Shoes’ & ‘My Mummy Loves Bags’ which I self-published in 2013 and 2015. I’m currently working on the third title in the Mummy Loves series. Last year, I launched The Fash Pack App. An iPhone app that features illustrated emojis that glamorise your text messages. Gaining experience as an assistant at Matches Fashion UK, Gucci in Sydney and working for Tricia Guild at the Designers Guild head office in London, has given me a passion for all things beautiful. I feel incredibly lucky working with global brands such as Estee Lauder, Tom Ford, Lancome, Ralph Lauren, Clinique, L’Occitane, Goldwell, Lumity Life, Coola NZ, Clear Skincare Clinics and NZ House & Garden. Here you will find me talking about fashion (especially shoes and bags! ), beauty, lifestyle, interiors and of course life with my children. I really appreciate each and every one of my followers and have developed some wonderful friendships over the past few years on Instagram and other social platforms. I hope you enjoy my blog, please feel free to subscribe to my newsletter or send me a note . I’d love to hear from you.